You always wonder – when you take two great products and combine them, will they end up being greater than the sum of their individual parts? So when we started testing the AERO 72 PowerTap Package from WheelBuilder.com, we aimed to answer a number of questions – the biggest being whether the Reynolds Aero 72 (which already ranked as one of our favorite wheelsets we have tested) would be compromised by the addition of the PowerTap G3. Also, how would the quality of the build rank as compared to the stock wheels we had on hand straight from Reynolds? Three months of testing later we think we have found our answers. What’s more, we’re pretty sure you will not be disappointed. As we discussed in our First Ride article, we ordered a Reynolds AERO 72 with a standard G3 power meter from WheelBuilder. We went with the AERO 72 since we already had a front 72 on hand for our ongoing AERO 72/90 review. The G3 was a logical choice due to the price drop in August that took the price of a G3 from $1,299 to $789. By going with a hub-based power meter, this also allowed us to easily switch the wheel between multiple editors’ bikes to get the broadest review possible. Our wheel was in the mail just over a week after we placed the order. 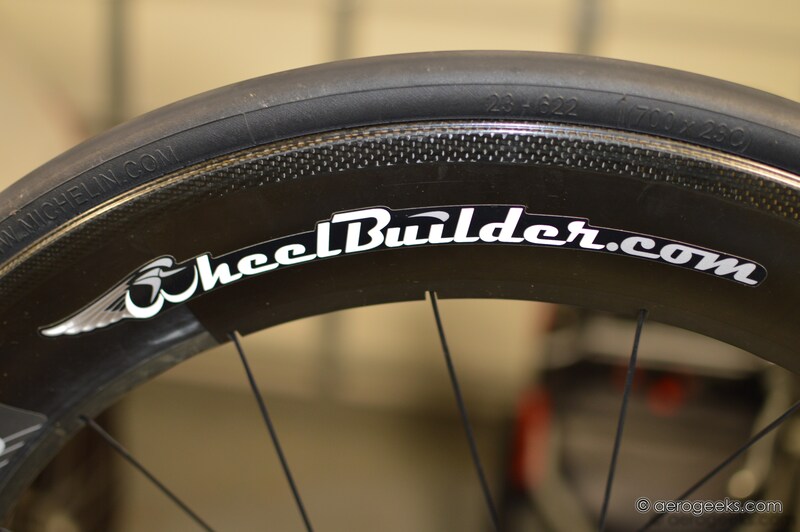 For a fee ($75), WheelBuilder can have your wheel in the mail in 48 hours. 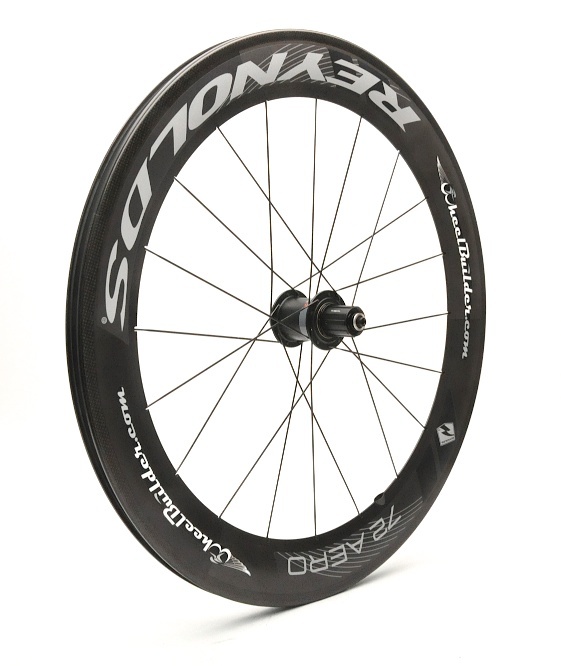 Have a big race on Saturday and want a new wheel built on Monday? WheelBuilder has you covered. The built wheel weighed in at 1086g, which is not overly heavy. And the additional weight over a standard AERO is at the hub—not the rim—and thus has less of an effect overall. When we removed the wheel from its box we were extremely impressed with the build quality. This was a wheel built with care. The wheel arrived true and the spokes were tight. We only found one imperfection; the stickers were a bit off center from the valve holes—something we noticed when mounting tires when we could not get them to line up correctly. It was a small detail, but something that OCD people like us noticed. Although we did find one thing (well, technically two things) lacking when we opened the box (though Reynolds mentions this on their page); there were no skewers or brake pads. Reynolds ships some very impressive skewers with their AERO wheels, and if we were buying these from WheelBuilder it is something we would request (and pay for). Reynolds also has put some serious time and money into their cryo-blue braking technology, which would be the only pads we would combine with the AEROs. If you decided to go with this package make sure to get some cryo-blues along with it as well. The biggest nitpick we had for the past three months was the placement of the stickers – that’s it! When it came to riding with the AERO PowerTap Package, everything was EXACTLY as we wanted it. The wheel ran fast and straight and gave us the same road feedback we had come to expect from the standard AERO wheelset. 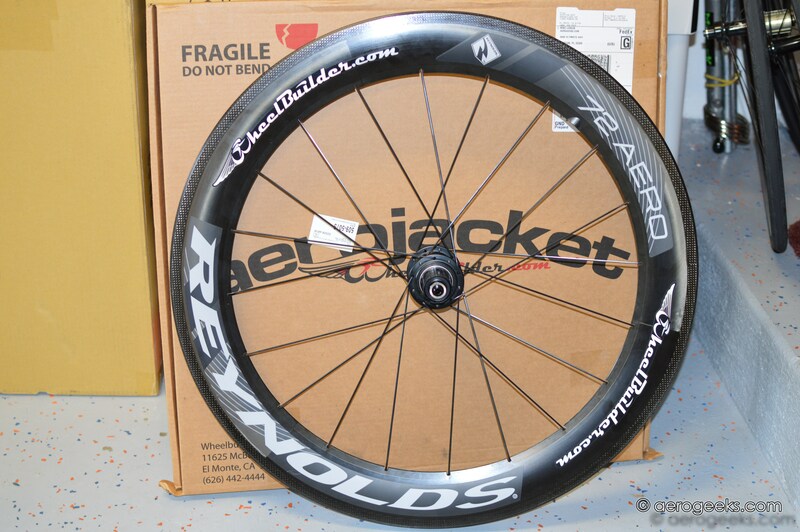 The Reynolds AERO is an extremely fast wheel, and the G3 did nothing to take away from that. We had one single ride where the G3 had issues syncing with our Garmin. However, while we initially thought this was an issue with the G3s battery, the problem went away the next ride and never resurfaced. The data from the G3 was consistent both during the rides and between rides. Unfortunately, we didn’t have the opportunity to use this in conjunction with a second power meter to see if the data we were seeing was consistent with not just itself, but other devices as well. We thought the $1,815 that this package would retail for to be a good value. Considering the G3’s MSRP of $789 and the $2,875 for an AERO 72 wheelset, this actually runs a bit under what you would expect to pay for a rear wheel + power meter. The price of the package also compares nicely to the price of both Garmin’s Vector ($1,699) and the Quarq Elsa ($1,995), though with those you would get left\right measurements versus the G3s single measurement. 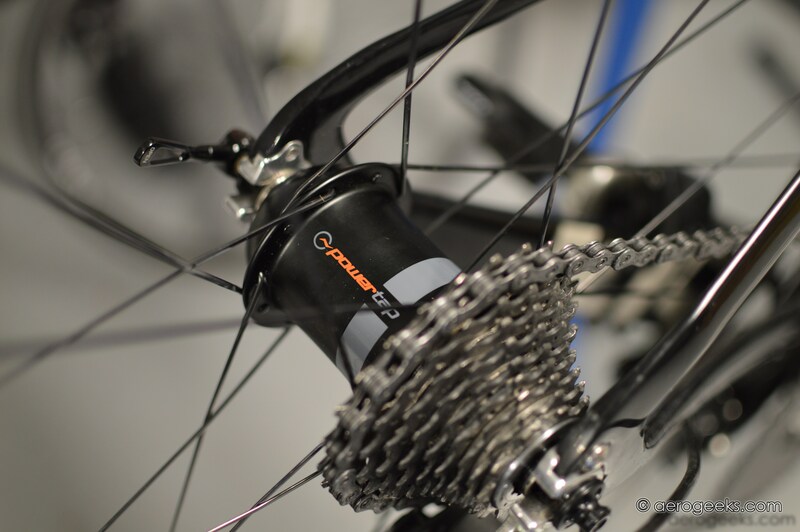 For riders like us, who tend to use the same wheels between multiple bikes, the Reynolds PowerTap package represents the flexibility we are looking for at a price point that is extremely competitive. If we wanted to have both a race wheel and training wheel with power, the price would be roughly the same as a single crank or pedal-based power meter (with the increased flexibility of being able to easily swap between multiple bikes). Additionally, if we were buying this for ourselves, we would spend the extra $100 on a disc cover so that we would be getting power readings for both a deep aero wheel and a disc for $2K total, which is the kind of bargain the AeroGeeks love.